The Mustang's TracKey that unlocks all 444 hp has apparently never been used, which will hopefully change when the top bidder takes it home next week. Collectors of pristine, collector-grade Mustangs, listen up. 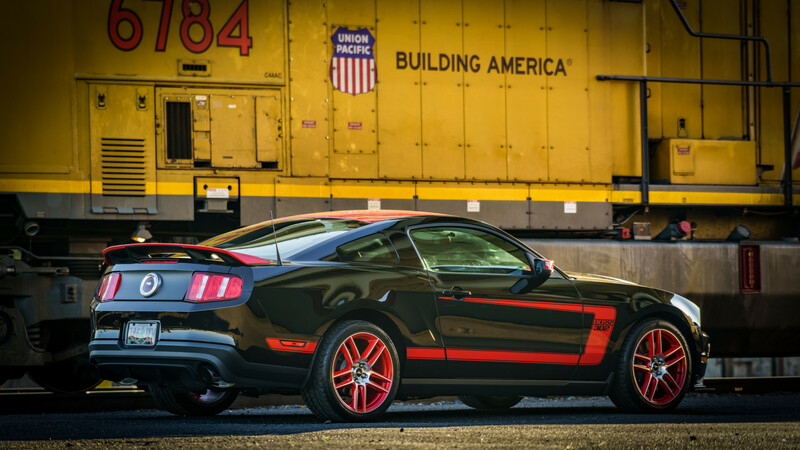 Spotted on Bring a Trailer is a 2012 Ford Mustang Boss 302 Laguna Seca with less than 1,200 miles on the odometer. 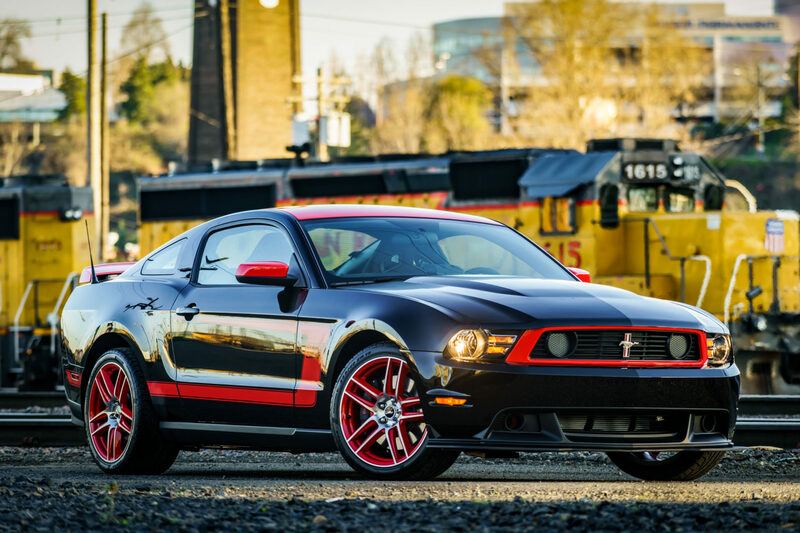 Made in 2012 and 2013, the Boss 302 took the standard Mustang GT, gave it a large handful of go-fast goodies, and revived a nameplate not seen since 1970. The more modern Boss' 5.0-liter V-8 produced 444 horsepower and 380 pound-feet of torque. Power travels through a six-speed manual transmission and a Torsen limited-slip differential before reaching the rear wheels. To help it get around a circuit like, say, Laguna Seca, the Boss 302 gets stiffer adjustable suspension, beefier sway bars, a new rear spoiler and front splitter, as well as revised traction and stability programming. It sits 11 millimeters lower up front and one millimeter lower in the rear for a raked look reminiscent of the '70s version. The Laguna Seca edition comes with Alcantara-laden Recaro seats for the driver and passenger but loses the rear seats. It's got a cool-looking chassis brace back there instead. A rigid car is a fast car, practicality be damned. Located in Portland, this particular black-and-red example is No. 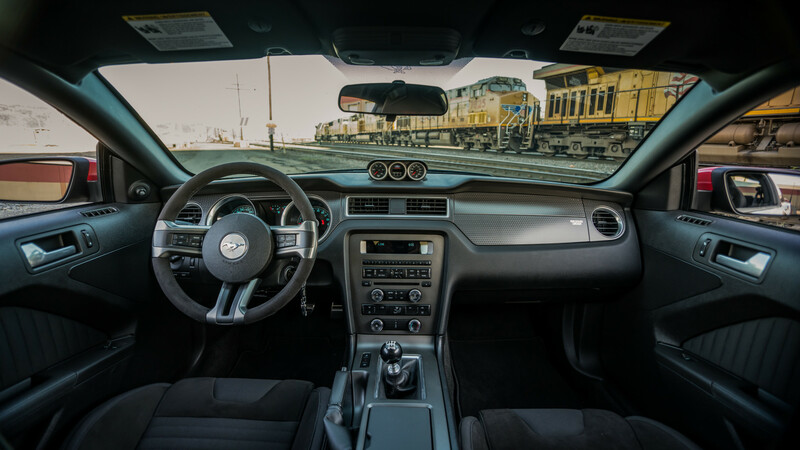 140 out of just 767 Laguna Seca editions made for 2012 and comes with its original window sticker and purchase documents, owner's manuals and literature, and a clean Oregon title. It has apparently never seen rain or water and has been stored in a climate-controlled garage. Rather famously, the Boss 302 Mustang featured something Ford called a TracKey, a special, red key that owners used to unlock all 444 of the car's rampaging horses and essentially put it in maximum attack mode. Luckily for its new owner (and somewhat sadly for its current one) TracKey has never been used on this particular example. The bidding for this essentially new Boss is, as of this writing, sitting at $30,400—a decent chunk of change shy of its original $47,615 purchase price. However, with five days left in the auction, don't expect it to stay that way for long. Rumors say the upcoming pony car will swell to the size of the Dodge Challenger and rock an SUV platform to save on development costs.